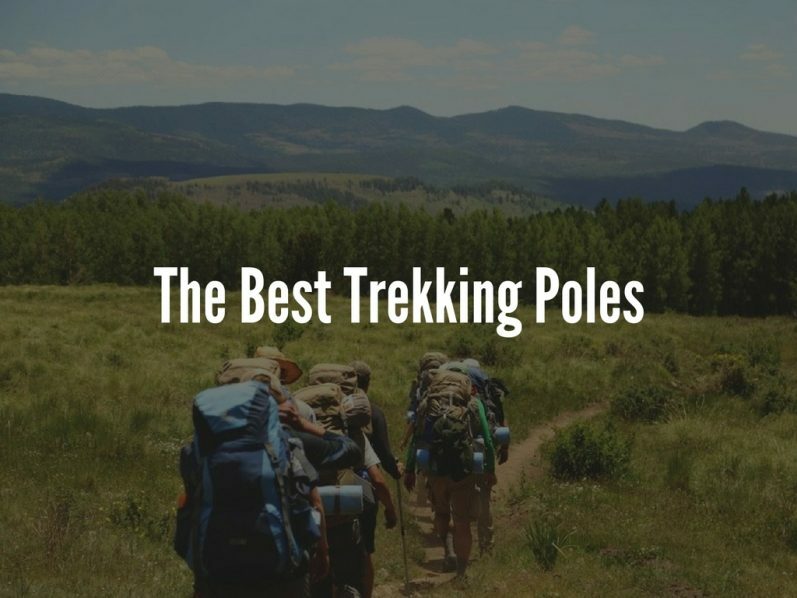 Hiking poles, walking poles, hiking sticks, whatever you may call it. Trekking poles are essential for any person who enjoys spending ample time hiking through woods or forests and mountains alike. It is an important accessory for hikers to provide stability and strength whatever terrain you will encounter whilst maintaining a rhythm during long walks and treks. 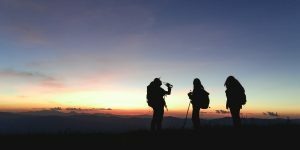 Trekking poles are standard equipment for backpackers, hikers, trekkers or for anyone who just likes walking around with friends or all alone. This is my search to find the best trekking poles available right now! Trekking poles resemble ski poles in a way that they are both used to assist you while trekking or hiking. Usually 135 cm or 54 inches in height, they are divided into two or three sections that may be retracted for easy storage and handling. Typically made from carbon fibre and lightweight aluminium, hiking poles help the you distribute the energy evenly from your arms in order to avoid wrist strain and other similar injuries. 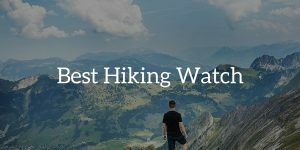 When choosing a trekking pole for your walks and hikes, it’s best to consider the many factors that may affect the performance and features of your poles. I have been on the search for the top trekking poles to use during treks on different types of terrain. It is wise for you, as an avid trekker, to know and choose the best type of trekking pole to utilises that will suit your needs. 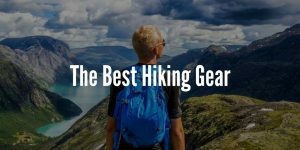 If you want to own the best hiking gear for your trekking use, it’s best to start with finding and sorting through the basic equipment to use. Searching for the best trekking pole for your hiking needs is not an easy task. It may take a lot of time and research to find the perfect hiking pole to use. But no worries, because listed below are 5 trekking poles which I think are worthy and qualified for every hiker’s use. The Hiker Hunger Trekking Pole is probably one of the sturdiest and strongest trekking poles there is for me because of its 100% Carbon Fibre material. This trekking pole has an anti-shock material making it safer to use than other types. This is not your usual trekking poles which are made from a cheap mix of aluminium and carbon fibre. 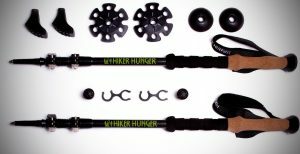 Hiker Huger Trekking Pole also features its lightweight ability, weighing only 7.6 ounces per pole, making the total weight of both poles under 1 pound only. This makes any trip easier because you will not be overburdened by the additional weight. It also has a Quick Flip Lock feature which allows the pole to easily collapse and extend, with this, you can store it in your carry bag which is included in the purchase. The best part of this trekking pole is the quick and easy extension of the pole while serving you comfort with its extra soft grips and handles. Its comfortable grip is a plus side for me as a hiker since it gives me that comfy feeling while walking. This product has excellent reviews and is highly recommended by professional trekkers. This trekking pole, which is specifically made for women’s use is the easiest and the most comfortable type of trekking pole for me. Because of its easy dual density grip and 360-degree padding strap, Black Diamond Trail Pro Shock Trekking Poles for Women will guarantee you that no trek will be hard and uncomfortable. Its Control Shock Technology adds another depth of practicality to this trekking pole. The shock cushions help your wrists to avoid the jarring feeling when climbing uphill. The double flick ability of Black Diamond Trail Pro Shock Trekking Poles for Women works very well for all types of terrain and since the tightness is adjustable, no slipping will happen, therefore avoiding the risk of an accident. The only con is the metal tip. Unlike other trekking poles, Black Diamond Trekking Poles for Women has a metal tip which will easily wear if constantly used. For that extra padding, you have to purchase the thick and rubbery padding manufactured by the same company. Black Diamond Trail Pro Shock Trekking Poles for Women is probably the safest trekking poles to use since it offers more than just its anti-shock technology but it has a comfortable grip and a flexible spring to keep up with your walking, not to mention the sturdiness of the product. Truly a recommended trekking pole for beginners and professionals alike. This flexible and extremely sturdy trekking pole will meet the demand of every trail runner, hiker, backpacker and trekker imaginable. With its Z-pole technology, which allows the poles to have a short pack length making it more compact to use, Black Diamond Distance Z Z- Trekking Poles assure you that your hike will be a memory to never forget. This trekking pole is made from lightweight aluminium shaft making it much stronger than other trekking poles without the extra weight. Its 3 section folding design with spend cone deployment allows you to easily store and extend your trekking pole easily and comfortably. With its non-slip mini foam grip, these trekking poles are a must have for people who are concerned with their safety. The only downside of this trekking pole is that the length is not adjustable, so you have to pick the right size according to your dimensions. 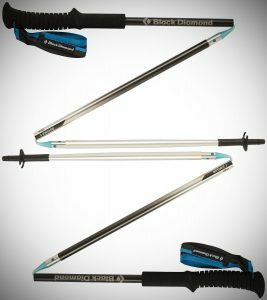 Black Diamond Distance Z Z- Trekking Poles have interchangeable tips which you can use depending on the terrain you’re hiking. Its high reviews and recommendations are proof of its quality and worthiness. This product from the manufacturer, Black Diamond is hands down one of the most hiker-friendly trekking poles on the market for me. A flexible trekking pole complete with a non-slip mini foam grip extension for secure and safe choke ups. Made from 100% Carbon Fibre mid to shaft with an Aluminum upper, this trekking pole is as sturdy as it can be, making it more practical to use due to its longevity of usage. Though not the lightest trekking pole, Black Diamond Alpine Ergo Cork Trekking Poles main features for me are it’s easy to operate clasp system that you can do with just one hand, no screwing or twisting needed. The angled natural cork grip is also one of the best features of this product. Because it is slightly angled, it allows your hands to exert less effort during steep climbs, saving your wrists the taxing effort of changing positions during treks. The cork used in the handgrips is soft and not too dense, making this trekking pole perfect for a long trek. An overwhelming amount of trekkers are amazed by this trekking pole and is recommended by them. Black Diamond once again prove themselves with another amazing product to offer for trekkers and backpackers alike. This trekking pole is the epitome of ultralight walking poles due to its 100% carbon fibre material with 3 shafts for easy storage when not in use. Truly an innovation from Black Diamond. This trekking pole’s main feature is the way it is constructed making it more lightweight than most trekking poles yet retaining the sturdiness that is expected from Black Diamond trekking poles. The 360 degree Nubuck wrist straps have soft paddings for extra comfort during really long treks and the Left and Right-hand labels add a layer of satisfaction. 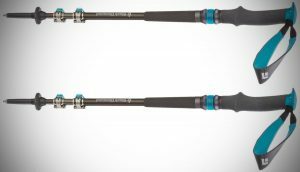 Black Diamond Alpine Carbon Trekking Poles offer changeable tips which are sold separately for you the trekking pole to adjust on different types of terrain. Though there is a certain difference between trekking poles having anti-shock material, Black Diamond Alpine Carbon Trekking Poles can compensate that weakness with its lightweight and sturdy material. Not to mention the comfort and pleasure it exerts to hikers and trekkers. Black Diamond Alpine Carbon Trekking Poles are essential for every backpacker who’d love to enjoy a day or two trekking and they are my personal favorite! It’s remarkable in favor of me too have a website, which is helpful in favor of my knowledge. Top 5 Best Instant Tents in 2019 – Camping in an Instant! BestTentforYou is a participant in the Amazon Services LLC Associates Program, an affiliate advertising program designed to provide a means for sites to earn advertising fees by advertising and linking to Amazon.com.